Type A collection: 4 different type A tillandsias of our choice. Maximum one starter collection per customer. T. plagiotropica (cool) sown 2012, sold out. T. hondurensis (intermediate) sown 2012, sold out. T. butzii (cool) sown 2011 sold out. You could move the seedlings to individual mounts as soon as you get them, or wait a year or two. 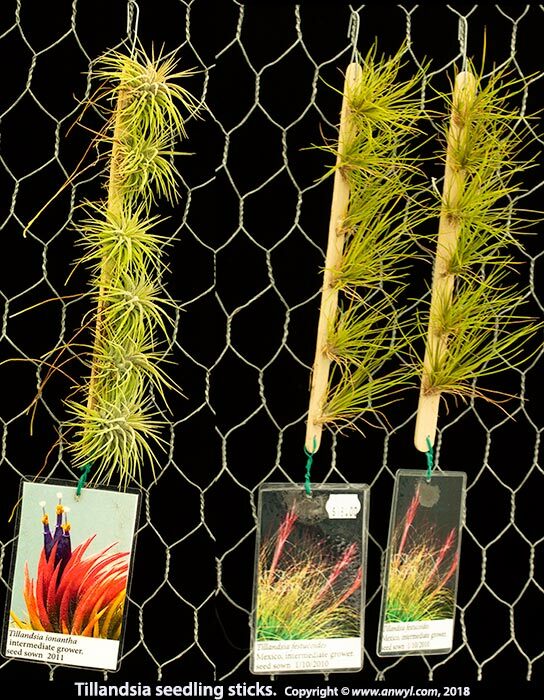 Tillandsia disticha sorry, sold out for now!